Merry Christmas, everyone! I thought this installment of the Top of 2012, bringing you the top 3 greens of 2012, was a perfect way to celebrate! 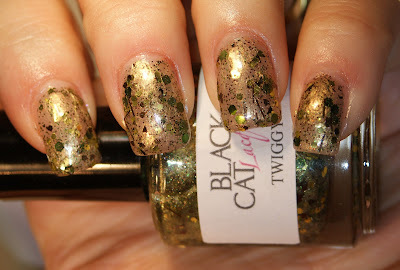 Zoya claims a spot on the Top 3 with Zoya Ray, a deep pine green metallic! R. Hobby Cosmetics takes the title for most unique green polish with Twiggy, a gold metallic polish with green hexagonal and microglitter, along with pine green and brown bar glitter. It looks like a forest on my nails! And how could it be a top 3 without a holo? 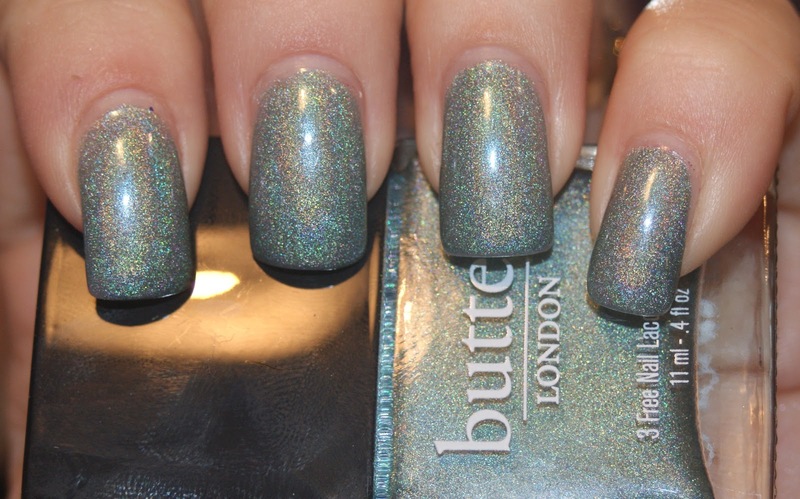 The limited edition shade from butter LONDON called Fishwife takes the last spot. A dusty blue-green linear holo polish, this was a stunner!